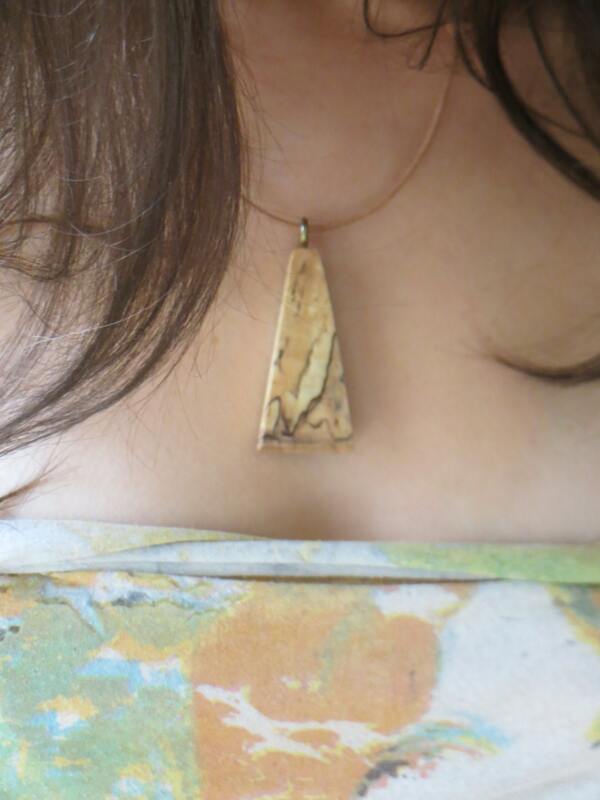 This contemporary piece of wearable art has been made from spalted wood. 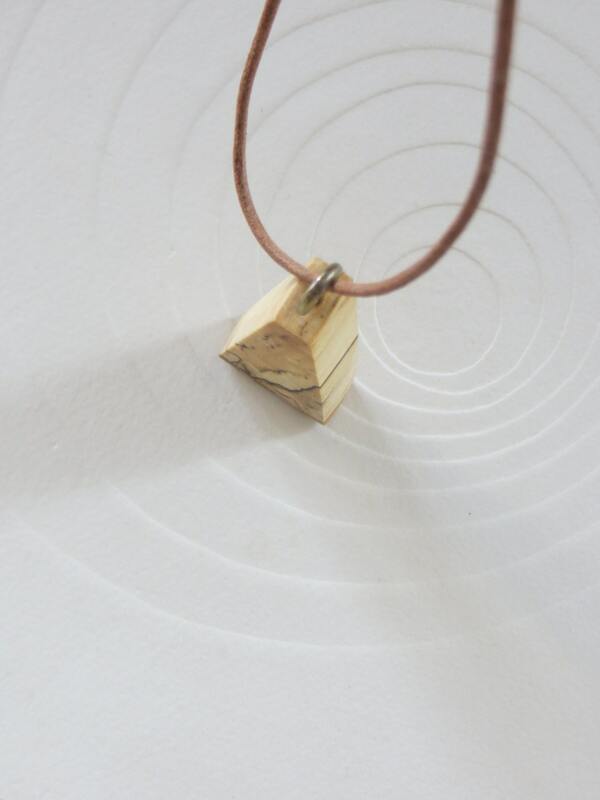 Left over pieces from a recycling project have now been reinvented into a range of wooden jewellery. All hand cut and hand sanded . 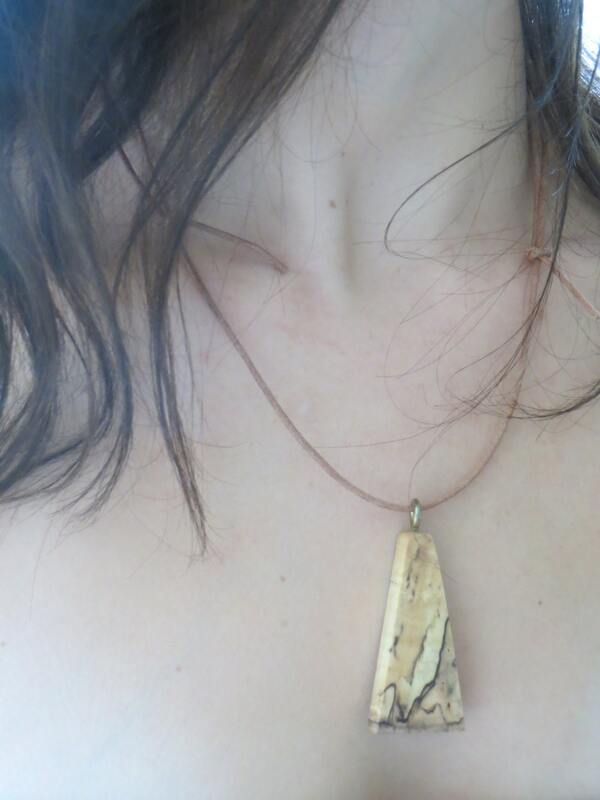 Mineral oil has been used on the pendant to enhance its beautiful markings. A perfect gift for those who love nature. 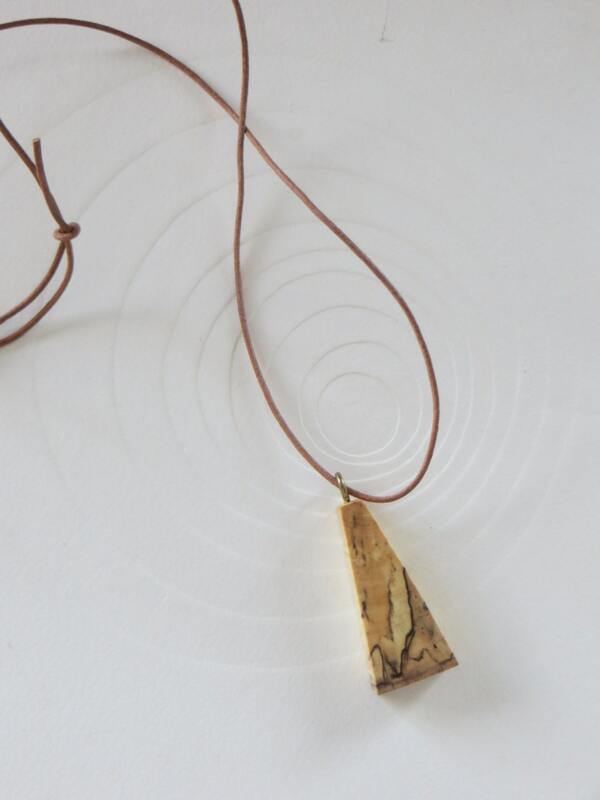 The pendant hangs on an adjustable length of leather cord and at it's maximum is about 26ins. Do not use in steam rooms and water.